Coming this Friday, June 10th to Vintages in Belmont, MA is a free tasting of wines from Albino Rocca. Angela Rocca himself along with his daughter Daniela will be on hand pouring and describing their wines. It's an event not to be missed. Click here for more information about the tasting. A massive wine of surprising depth for the region. As soon as I opened it, the room was filled with aromas of rustic fruit. On the nose I get signature Nebbiolo minerality, deep rich red fruit and menthol. The mouth feel is rich and supple. The finish goes on for minutes. An outstanding wine from a fantastic Barbaresco producer. The wines of Albino Rocca have consistently impressed me so I'm looking very forward to attending this tasting. Too often as I'm exploring a new wine category I make the mistake of "nibbling at the low end". What better way to see if you like the wines from a certain region than starting at the high end - for free! I hope to see you at the tasting Friday. Subscribe to the Wellesley Wine Press and I'll let you know how it goes. 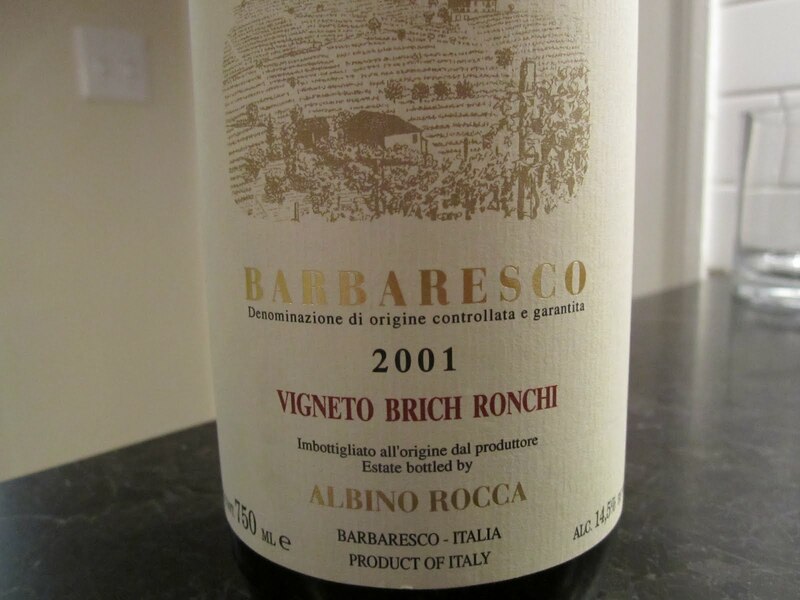 Question of the Day: Have you had Albino Rocca Barbaresco? What are some of your favorite producers in Barbaresco?